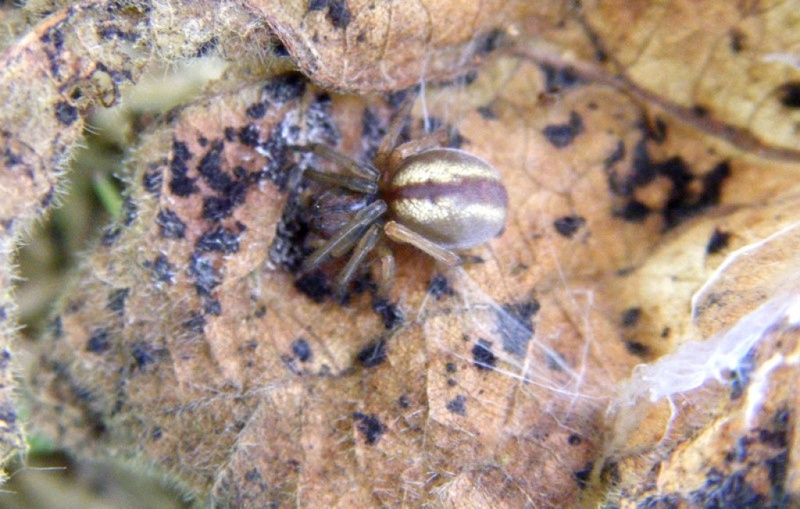 A foliage spider. 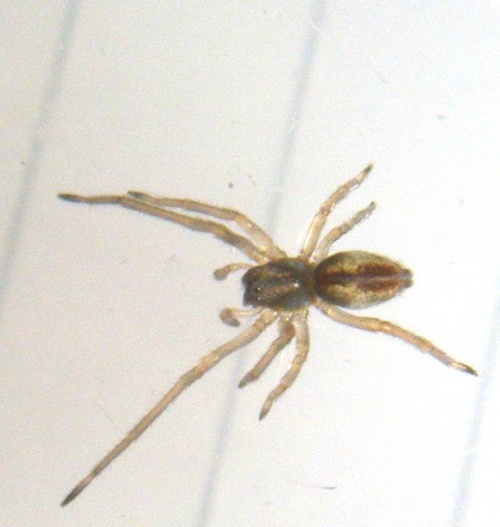 The markings of this spider are distinctive. It has a wide dark red stripe running down the centre of the abdomen, which is in turn surrounded by an area of creamy-yellow. The head is a reddish brown. Usually found among grass and low plants, often living in silk cells. Typically a heathland species. The wasp Homonotus sanguinolentus a rare species is dependent on Cheiracanthium species. The wasp enters the egg-laying retreat of gravid female spiders and lays an egg on the front of the spider's abdomen. 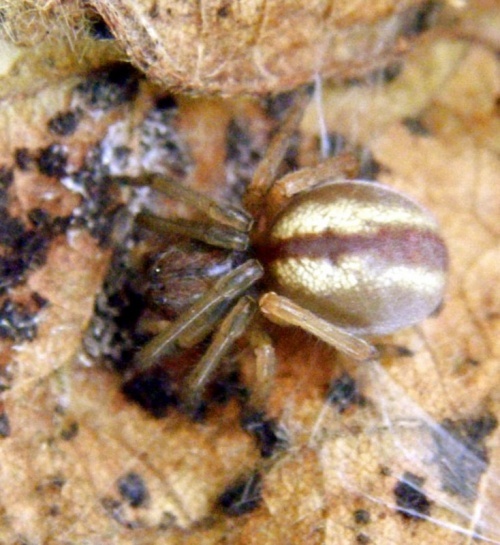 The spider remains alive in the retreat whilst the wasp larva feeds on its body fluids. After about 10 days the wasp larva kills the spider and consumes the remains. 1,522 British records for this species to 2015.